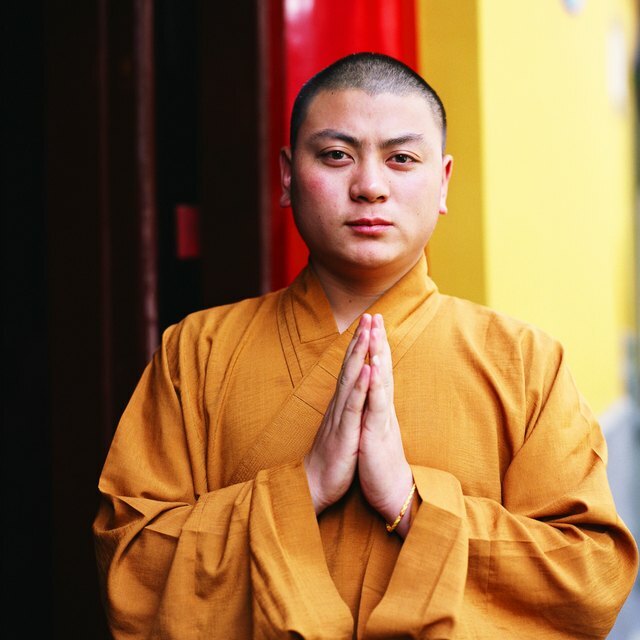 Like the Buddha, Buddhists seek to achieve a state of emptiness. 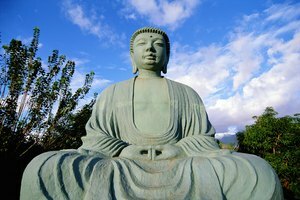 Zen Buddhism adopted the idea of emptiness from Mahayana Buddhism. 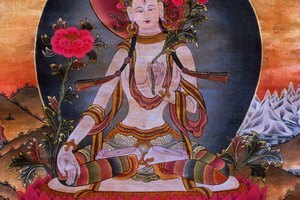 This emptiness is the true nature of reality, and realizing it is the ultimate goal for all Buddhists. 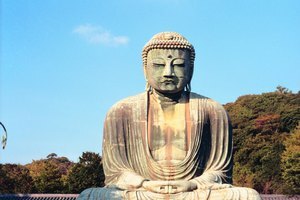 However, Zen Buddhism differs from traditional Buddhism in a number of ways, and its teachings about emptiness and the manner of achieving it are unlike other Buddhist sects' teachings. 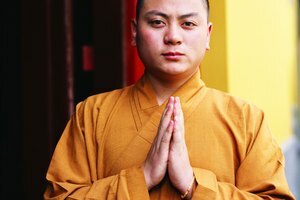 Buddhism teaches that enlightenment occurs when an individual realizes that all aspects of reality are empty and without substance. To realize this emptiness, an individual must also realize the emptiness of her own consciousness. However, unlike other Buddhist sects which emphasize detachment and removal from the material world, Zen Buddhism teaches that individuals should try to function and adapt to the "empty" world. To function properly, individuals must educate themselves about situations and overcome their own ignorance, rather than retreating into the knowledge that the world is an illusion. To achieve enlightenment, Zen Buddhism teaches that an individual has to look inside himself. Unlike other Buddhist sects, such as Tibetan Buddhism, that emphasize prayer or studying Buddhist scripture, Zen Buddhism teaches that all knowledge concerning the nature of the universe -- including the emptiness of the world -- can be found by focusing the attention inwards. This way, notes the BBC, a Zen Buddhist can perceive that the distinction between objects is artificial, and that all things are similarly empty. Zen Buddhists discover the empty nature of the world primarily through meditation. However, the exact methods of meditation differ between different schools. For example, the Rinzai school emphasizes focusing on riddles, called "koans," that have no rational answers, such as "What is the sound of one hand clapping?" By focusing on the lack of a rational, intellectual answer, the practitioner realizes the inherent emptiness of all things. 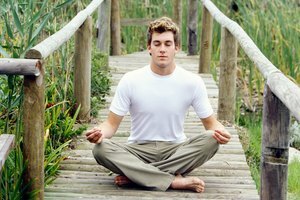 On the other hand, the Soto school practices a meditation process of "just sitting" and not getting attached to any thoughts. According to the Rinzai school, enlightenment happens suddenly, while the Soto school believes that understanding the empty nature of the world happens more gradually. The notion of emptiness also applies to Zen teaching and philosophy. Zen Buddhists believe that any attempt to write about or define the concept of enlightenment is devoid of true meaning. In a larger context, all rational thinking and intellectualization is considered a hindrance to enlightenment. To understand Zen, you must practice it directly through meditation, and not try to study Zen Buddhism through reading or performing any kind of religious ritual or rite. Any teaching about the emptiness of the material world is secondary to the personal experiences of Zen Buddhists. Stuart, James. "Beliefs in Zen Buddhism on Emptiness." Synonym, https://classroom.synonym.com/beliefs-in-zen-buddhism-on-emptiness-12086281.html. 29 September 2017.